Study metalworking, marine engineering or prepare for further technical studies at university. The School of Marine Engineering offers quality studies that combine technology and craftsmanship. The school of marine engineering offers study programmes in metal turning, steel constructioni, marine engineering and practical engineering that prepare students for their journeyman’s examination. Students can add general academic courses to their studies to complete a matriculation examination parallel to their vocational studies. The studies include both practical and theoretical courses. Practical courses are taught in Háteigsvegur, Reykjavík and in Flatahraun, Hafnarfjörður. Theoretical studies are available as on site and distance learning. Studies in Marine Engineering are divided into four levels A, B, C and D. The qualifications are cumulative as the study progresses. 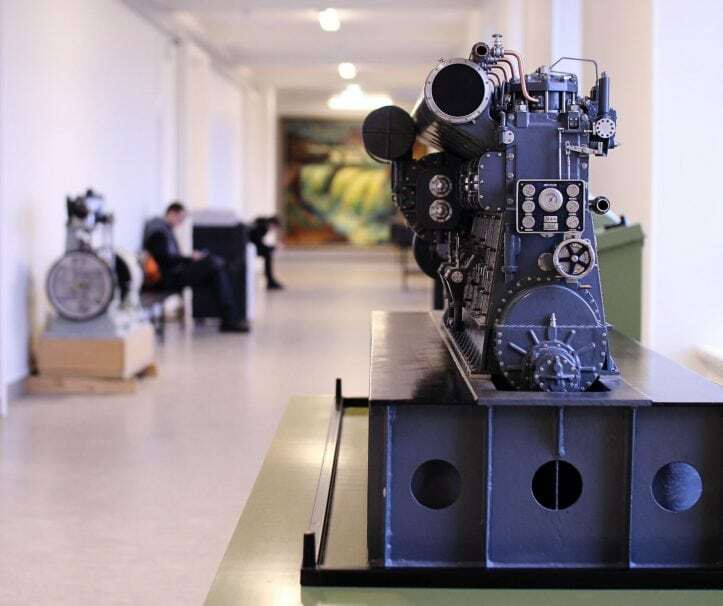 The study programme is a combination of practical training in metal technology, engine theory, refrigeration technique, electro technics and related theoretical courses. The students are trained in using machinery and technical equipment in specialised workshops and engine simulators. The studies are based on a recognized curriculum and are in accordance with IMO quality standards. Engineer officers and Chief engineer officers work on ships, in power plants and elsewhere where an extensive knowledge of machinery and technical equipment is required. After completing the School of Marine Engineering and an accredited training programme, students are qualified for positions all over the world on vessels of all sizes and types; fishing vessels, cargo ships as well as large passenger ships. The school also offers an engineer programme towards international qualifications and matriculation, metal technology and forging. Ship control is a vibrant and creative job. The school of marine engineering welcomes students who want to acquire a practical high quality technical education. Various job opportunities await students on completing the studies. Studies at the school of Marine Engineering take place in Háteigsvegur as well as in Hafnarfjörður (Flatahraun and Gjótuhraun).